Make all kinds of friends at the Play-Doh Town Pet Store! Help this animal-loving storeowner fill the shop with cute and colourful creatures. Get her ready for work by creating fun hairstyles, decorating her outfit, and pressing out bunny slippers. When she's ready for the day, press out colourful ears for her bunny. Create lots of other pet friends by shaping some hamsters with the book-mould, making colourful fish in the fishbowl, and more. Roll the detachable hamster wheel to stamp cute little footprints. Don't forget to make some pretend treats for all of the adorable Play-Doh animals! To keep business hopping along, shape some money using the half-moulds and press out receipts using the cash register. 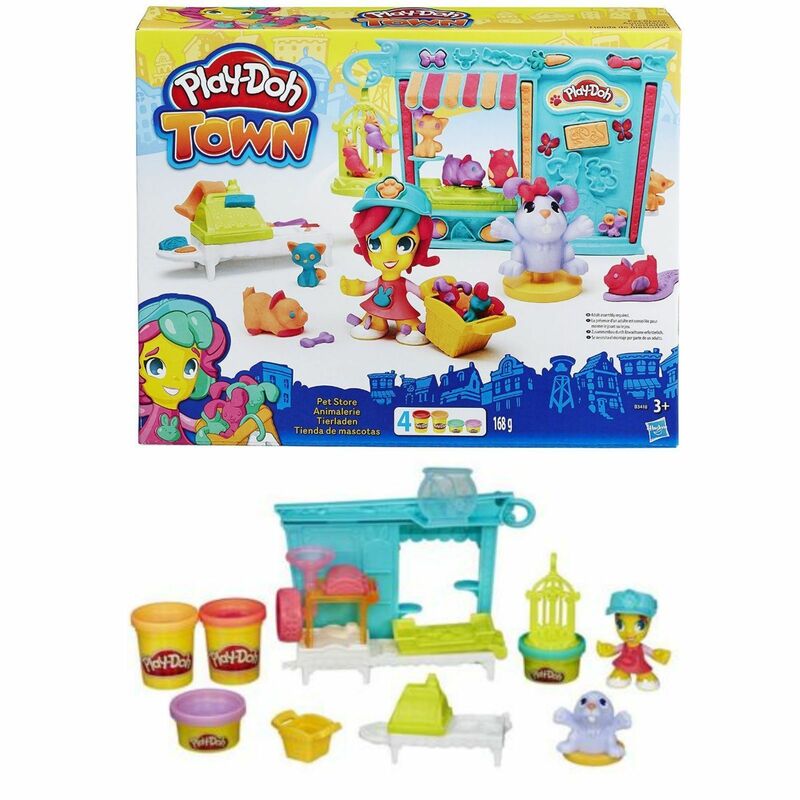 With a little imagination, kids can always create new friends and new adventures in Play-Doh Town! 4 cans of Play-Doh Brand Modeling Compound.